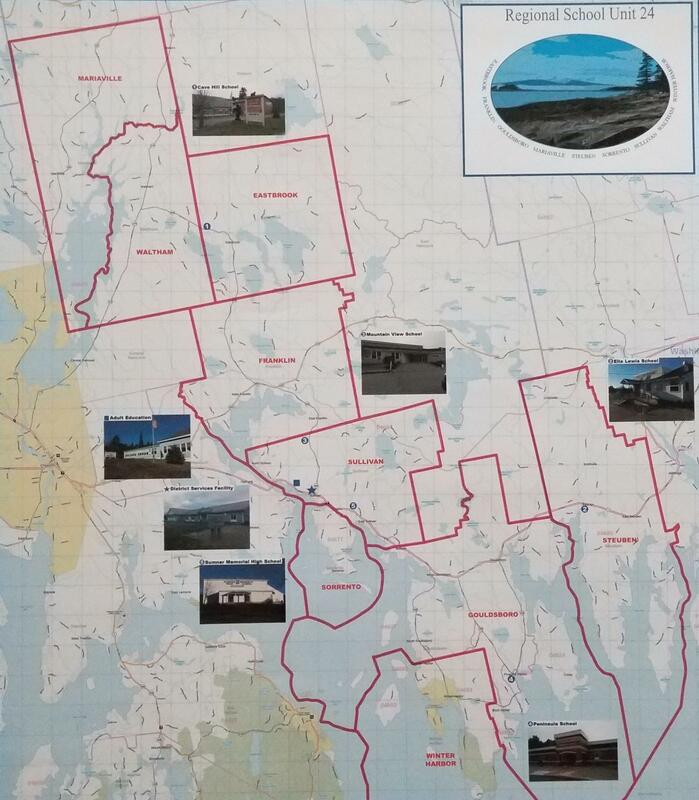 Regional School Unit 24 serves nine communities along the Down East coast of Maine. The district encompasses picturesque coastal communities along Frenchman’s Bay, Flanders Bay and the Schoodic Peninsula as well as inland communities surrounding our many ponds and lakes. Our four elementary schools house students in grades pre-K through eight. Secondary students attend Sumner Memorial High School. The district enrollment is close to 1,000 students. In addition, our adult education program offers a broad menu of academic and enrichment programs including a family literacy initiative. The district provides all upper level students with one to one computer technology and all schools have wireless access. A recent grant from the USDA will provide telecommunication capability between and among schools. Web based resources are imbedded in most curricula and are widely utilized to provide academic support. High school students have access to advanced placement courses in many content areas. In addition, our secondary programs offer a Pathways program that engages students in the design of their educational program. An alternative education program is also available. A wide array of special education services is provided minimizing the need for students to attend schools outside their home district. Programs designed for autistic children, students with developmental delays, and for those needing behavioral support are readily available. The schools are at the heart of each community and a full range of extra-curricular activities and athletics engage young people outside the regular school day. In addition, several of our elementary schools offer extended day programs that combine academic support and healthy activity for students.